Good marketing is about generating leads, not visitors. 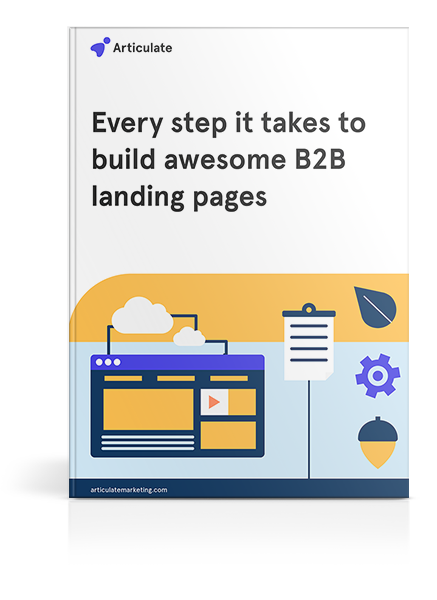 In this guide, find out every step it takes to build awesome B2B landing pages. Strategic landing pages are used by 68 percent of B2B businesses to acquire leads, according to HubSpot. But, many B2B marketers cite that acquiring new leads is their biggest challenge. The core components of a landing page and why landing pages are essential to your marketing strategy. How to structure a landing page for more leads and the next steps to follow up after a visitor has filled in a form. Without further ado, fill in the form to get your free copy. See what we did there?